Merchant discount rate or MDR is the amount that a merchant has to pay to its service providers when a consumer uses a debit card to pay for the transaction. IRCTC is the online ticketing arm of Indian Railways. IRCTC is the online ticketing arm of Indian Railways. Ministry of Railways in a statement on March 1 said Merchant Discount Rate (MDR) charges will not be levied on passengers for booking railway tickets (at the railway ticketing counters as well as through IRCTC ticketing website) on payment made through debit cards for a transaction value up to Rs 1 lakh. Merchant discount rate or MDR is the amount that a merchant has to pay to its service providers when a consumer uses a debit card to pay for the transaction. IRCTC is the online ticketing arm of Indian Railways. This is likely to make debit card payment for railway tickets slightly cheaper. The Ministry of Railways said that have been issued to the banks by the Ministry of Finance on February 26. This will further help in promoting digital and cashless transactions, the Railway said. 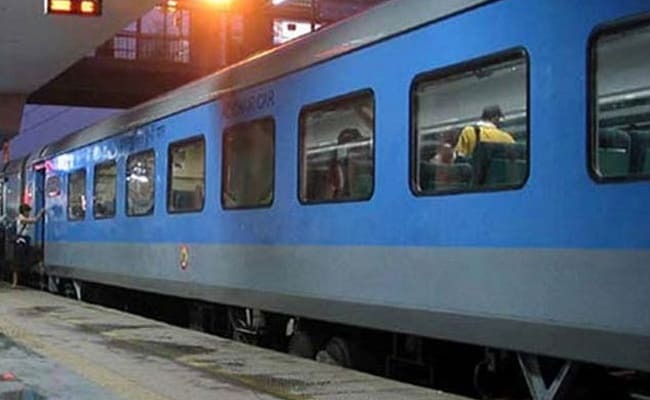 The Ministry of Railways in a statement said that it had "informed Department of Expenditure that all proceeds from sale of tickets through IRCTC website/counters go to Consolidated Fund of India through Ministry of Railways and such transactions should be considered as government receipts. The benefits on government transactions must be passed on to the public, and they should not face MDR charges while making payments to the government." “From now on Merchant Discount Rate charges will not be levied on passengers for booking railway tickets through debit cards for a transaction value up to Rs 1 lakh. The move will promote digital payments & help India move towards a less cash economy,” Union Railway Minister Piyush Goyal said in a tweet. The Railways also has initiated the facility of printing ticket details in local language on unreserved tickets issued through Unreserved Ticketing System (UTS) with first such language being Kannada. The facility was under testing at Mysuru, Bengaluru and Hubballi stations of South Western Railway with tickets being issued at these stations form one counter as trial. It will be extended to all other stations of Karnataka, the Railways said.